Today is my first day back to work after my dream vacation (first one in 16 years) to Disneyland (will do a Disneyland post soon). I had decided I was going to be really strict and careful with my diet and packed a ton of food, like organic chicken and cooked broccoli and yams. 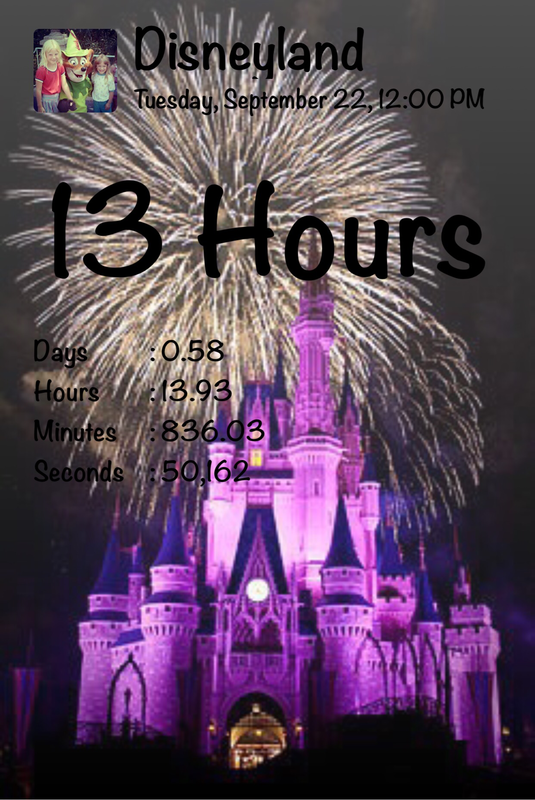 The first couple days I did pretty well, but then you know….Disneyland. First, we did not get back to the hotel for meals like I thought we would and just ended up being in the park a lot and even the snack food I did bring was not entirely practical, and one can’t survive in 90+ degree weather on dried fruit, zucchini chips and baby food. I ended up having my first Jamba juice, several times….. Because of messed up schedule and lack of sleep I ended up having coffee a few times. I must admit ice cream happened a couple times and for a big cheat I had a Monte Cristo in Cafe Orleans for my sister’s birthday dinner. On our last day I also had some food at In and Out Burger because I had never been there before. It was SO hard to make food decisions because I was torn between wanting to be strict and good to my body and just wanting to let go a little and enjoy vacation. All in all after tallying 5 1/2 days I did about 70% good with diet. Why make this post all about food do you ask? Well, because I think my body’s reaction right now has a lot to do with autoimmune reaction to food and not much to do with days of walking and fatigue. it has been a little while since I have written much here on my personal blog. I think I have been quieter mostly because the last 8 weeks or so have been rough. 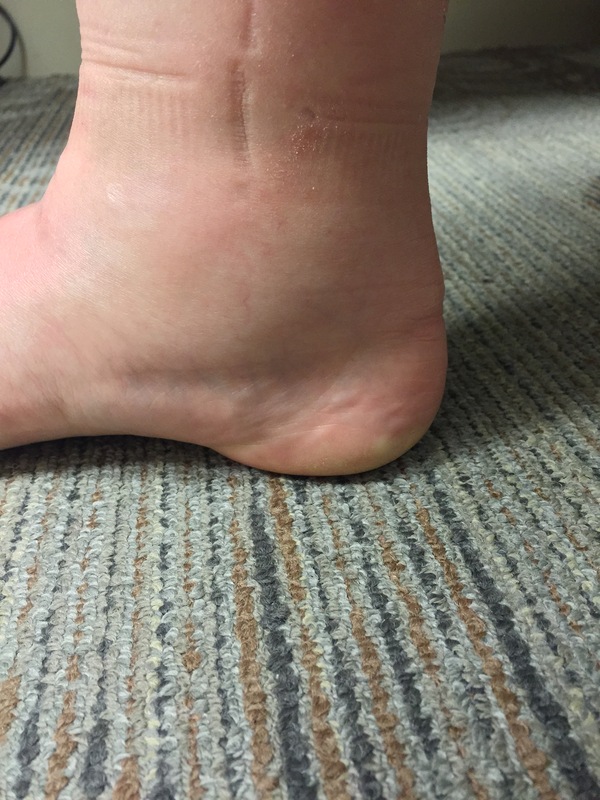 My downturn started with the start of progesterone therapy, which knocked me face first on the floor and I haven’t quite gotten back up again. I had mind-numbing fatigue again, food cravings that rivaled starving animals, and weight gain (😭). I was also feeling my emotions and personality slipping…just not myself. It got bad enough that I went back to my local kinesiologist feeling like my body was screaming at me and she said that she had never seen a reaction to progesterone that extreme, it was storing up in my body and I couldn’t get rid of it. One other thing she confirmed, whether it was related or not…Borrellia flared up again, this time in my vascular system. There is a lot that has happened; first after pushing through for two months my ND took me back of the progesterone (phew)(right after I saw my other doctor) and said my adverse reaction could mean a pituitary problem, among other things. The good part is that I also got the good side effects of the progesterone that we were hoping for, it’s just that the bad greatly outweighed them. Sigh. So after a very long in-depth appointment with my amazing ND going deep into issues that no doctor has before, we have a plan. 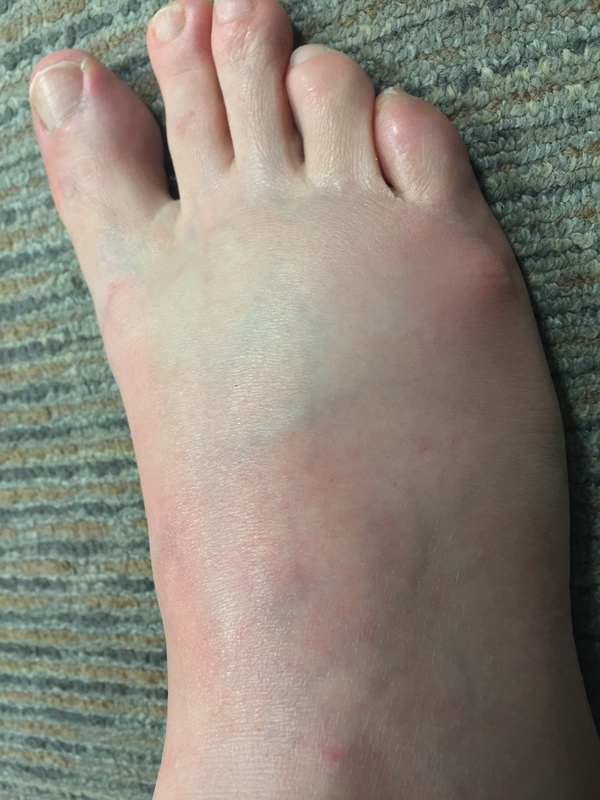 So I enter a new chapter of treatment as my ND is going to go aggressively after this horrible lymphedema/lipedema that has so plagued me for years with no end in sight, he is going after this last remnant of Lyme, he is going after the mycoplasma and a lot of other stuff that is still a mess. He is going to put me on a strict IV regimen along with other things. Two of my family members who have had “the” test have been positive for mycoplasma (I only need to have be blood work myself but I know what they will find). This seems to still go all the way back to those 5 1/2 years as a kid living in a house with 13 different kinds of mold, one of them being black. We also still don’t know what chemicals and metals were dumped in the groundwater of our well that is still effecting us. This really helps to understand why we have had such a tough time beating the Lyme and getting better, we are still being peeled like figurative onions uncovering more and more damage and disease. Now I must say in spite of this the LLDC in Idaho has still helped immensely; my cognitive and neuro stuff has never returned after his treatment, and although fatigue and body pain still remain it is just not on the same level it was. He treated parasites and other Lyme co-infections that have stayed treated. He gave me my life back. Now on an amazingly positive note (🎶) I am going to Disneyland tomorrow!!!!!!! I can’t say enough what a big deal this is to me and to my sister. The Lymies will know how illness can consume you inside and out, literally eat a hole in the middle of your life that gets so deep you can’t even see daylight anymore. Well I haven’t had the health or finances to go on any kind of vacation in 16 years, so this is EPIC. My sister and I are still struggling, but this is the first year (thanks to our LLDC) we have had health enough to even attempt anything like this. On top of that it is also with the help of some lovely and loving friends lending a hand that it is financially possible. All in all we are thankful to God, ultimately He has made it possible in His kindness. So we are hoping that we will have the time of our lives, and be ready when we return to face a new battlefront. i am already a firm believer in the healing power of essential oils and have found several to be useful. Today with my inflammation and pain symptoms being at code red I started seeking if there were oils that would work as an antihistamine, and bingo! Found several great articles on the magic LLP (lavender, lemon and peppermint). Can be used both externally and internally. I didn’t think I would be going through this again, that feeling of being poisoned.all the tissues in my body feel like they’ve been lit on fire, I don’t know how else to describe it it is deep burning pain in the tissue especially my legs but also my arms and torso. 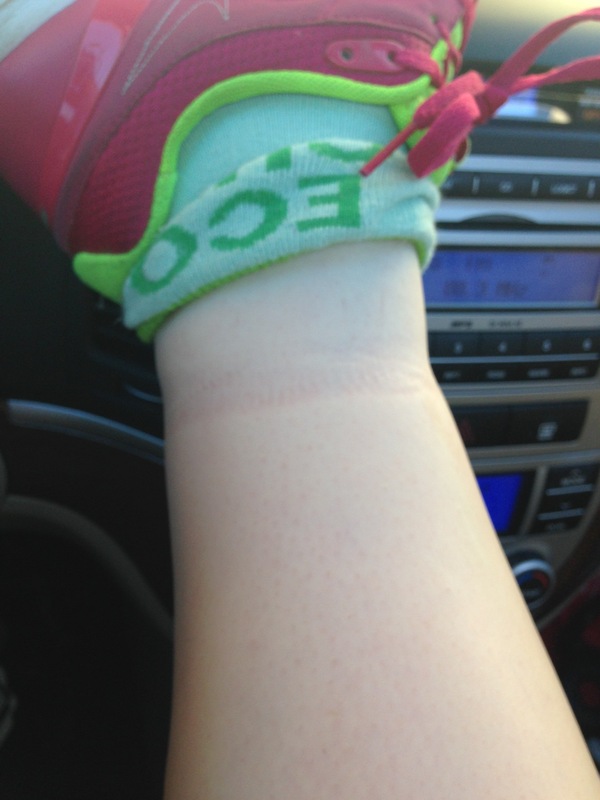 I know the fluid in my body’s going crazy when my slip on shoes become really tight and I get lines around my ankles. I have been having abdominal cramping off and on the past few days and suddenly put on weight and the water retention is insane. What drives me crazy is I really have no idea why! The past two days I’ve been using the symptom tracker on my phone to try and correlate if there’s anything on eating that I could possibly be reacting to. I did find that I had been eating too many naturally sugary foods like dates some figs. And the last couple days I have had some sweet potato that had smoky paprika on it, I am wondering if this could be the culprit being that paprika is a nightshade. But could that cause this systematic agony? Feeling like someone beat me up with a baseball bat and then rubbed me with sandpaper? Ugh, so tired of this. The other thing that made me wonder is the fact that I’ve been using some avocado oil, plain raw avocado does cause me little bit of stomach distress, but I think I am having allergic reactions to coconut, so coconut oil is out. You can’t cook safely with olive oil, canola oil isnt good for you, I am allergic to sesame and nut oils, and I can’t use potter because I am dairy free. I swear I just need to put into a medically induced coma and be on an IV drip for a good three months and not eat or drink anything to give my gut a rest. OK, rant over. Pain and misery hopefully short-lived.